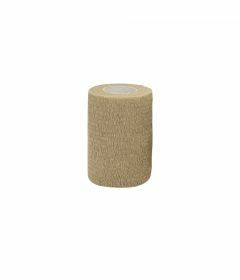 Cohesive tape, such as Coban Tape by 3M and Pro Advantage Cohesive Bandage, is a breathable elastic wrap with multi function use. It is commonly used to secure body parts (fingers, toes, arms, legs, etc.) or to wrap therapeutical devices such as cold packs, hot packs, catheter tubing, electrodes or splints to body parts. 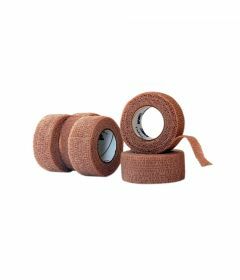 During electrotherapy and TENS treatments for example, the cohesive tape can be used to secure the electrodes to a body part.